The street I live on is right off the main road, but has immediate charm. It winds and curves around hills, through tall old trees and eventually dead ends into Lake Lanier. Once a year, at best, the fog will roll in just right way, the sun will rise at just the right time, and the leaves will be just the right shades of orange and red, and I’ll be outside taking in a scene that just feels too perfect to be real. These rare mornings were the inspiration for the world of Bright Ghosts. Truth be told, I probably should have failed my color theory class in college. I procrastinated on the homework and rushed my projects. But I did learn one critical element – color is part science, part art… and color takes time to get right. 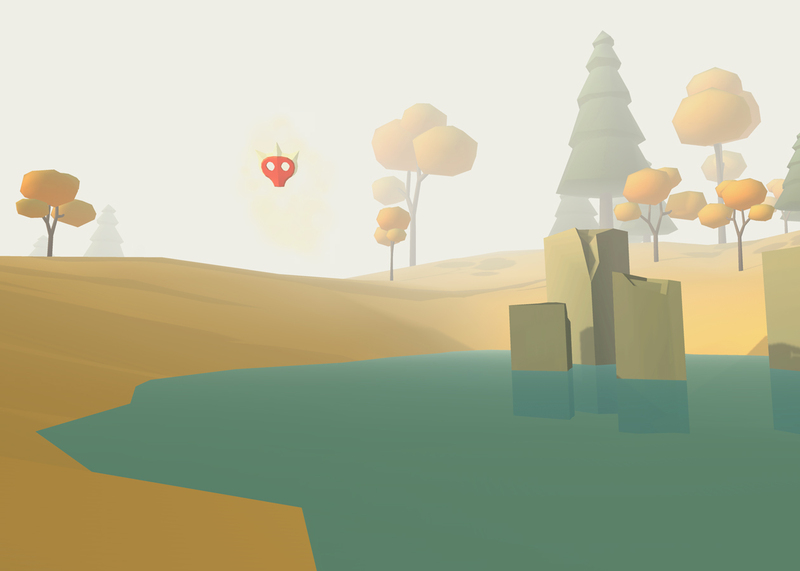 Building the world for Bright Ghosts was the first step I took in development. Probably backwards from how most people do it, but I really wanted to make sure I could capture the feeling I experienced on that foggy Fall morning. Aside from the technical aspects, getting the color right was a big part of this. It took time to get the right mix of greens and yellows, and I ended up tweaking the lighting for hours. And while the setting isn’t exactly what I have in my mind’s eye… it’s close — and I’m very happy with the results so far. With my world beginning taking shape, I was led to the next part of environment building… something known professionally as “cluttering.” Gotta give props to @brannanvitek for this one – I had never heard of the term before, but was cognoscente enough of the concept to explain it to him. Cluttering is kind of like decorating, in the environmental sense. It focuses on the details. World building is fascinating in that you have to simultaneously focus on the big picture and the small picture. Macro/micro play huge roles, and both require significant attention. I think I’m better at the macro than I am at the micro, but I am endlessly fascinated with the details. My twitter feed is awash with inspiration from other world builders and I love seeing the details they include in their scenes. I’m lucky to have found such a great resource. I know this world I’ve started will continue to evolve as I march forward, but to be honest, I’ve surprised myself with how far I’ve already come.